Find Custom School Spirit Products at School Spirit Shack! 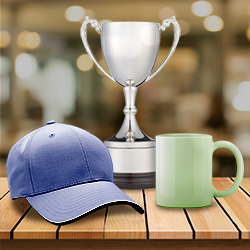 For High School, PTA, School Stores, College Bookstores, Athletic School Teams, Football, Basketball Teams, Honor Roll Rewards or for Showing School Pride. 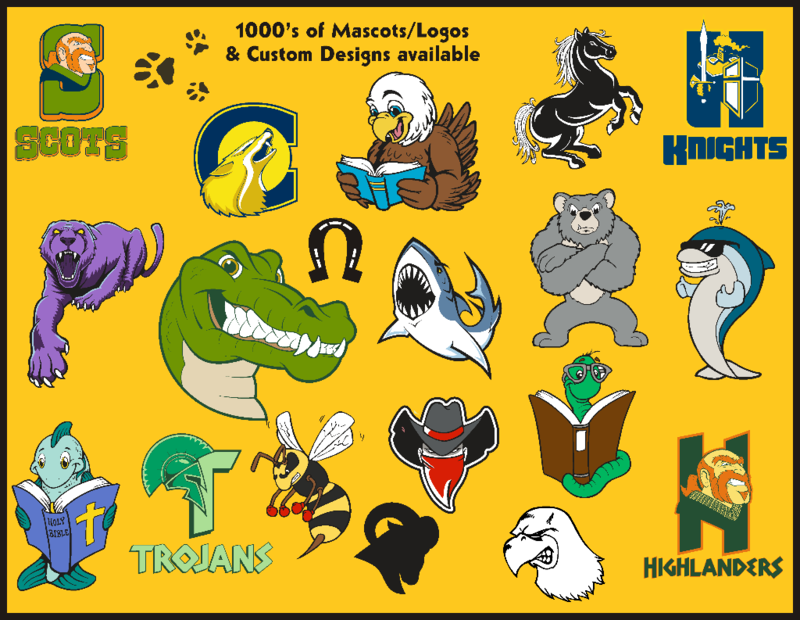 Print your School Name/Mascot on; Custom School Spirit Stickers, Mascot Static Window Clings, and Custom Made Decals, Custom School Sports Socks, Clear Removable Decals, Mascot Shaped Vinyl Key Tags, Custom Mascot Tattoos, Pom Poms, Stadium Cups & Much more! Make TRACKS to the SCHOOL SPIRIT SHACK! Price includes your Logo/Mascot on the front of each sock.. Also included is an imprint on the bottom of the socks & back. Describe what you would like in the "imprint details" box when checking out. 60 minimum per sock size. Knit In Jacquard Logo or Mascot. Sock Colors: Black, Gold, Celtic Green, Dark Green, Navy, Orange, Pink, Purple, Aqua, Medium Blue, Columbia Blue, Navy, Dark Navy, Grey, Khaki, Red, Royal, White, Maroon or Fuschia. Call if your color is not listed. FREE FREIGHT. Free SETUPS & DESIGN. These 4" square removable vinyl stickers are great for full color graphics. Great for car windows! They are very durable and printed in a beautiful four color process. They are easy to remove leaving no residue on car windows. Complies with US federal & state consumer product safety laws and regulations and are MADE IN THE USA! UNDER SPECIAL ARTWORK INSTRUCTIONS: Please list your imprint colors. Please see the imprint colors available on the website if you have not already. Please describe what you want printed on the stickers. An art proof will be provided for you at no charge prior to printing. Free GROUND Shipping. Free Setup/Screens. Free Artwork!